Seth graduated from the University of New Hampshire in 1998 with a B.S. in Athletic Training. This curriculum included over 1,500 hours working with various athletic teams providing assessments and rehab programs. 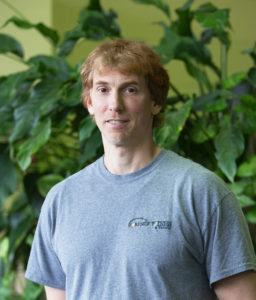 Seth’s 20-year career includes employment in sports medicine, physical therapy, and personal training, in addition to a position as head trainer at a Massachusetts high school. He has worked in Massachusetts, Colorado, and now Maine, where most of his family resides. In 2001, he worked for a large health club, actively involved in personal training and staff development, and he worked closely with the tennis pros’ running “Fit For Tennis” programs. He was also one of two trainers selected by management to certify in cancer wellness. With this certification, he helped establish “Roads to Wellness” – a program designed to implement appropriate exercise programs for those effected by various forms of cancer as part of their overall treatment plan. Seth has now joined Foreside Fitness where he continues his passion for personal training, post-rehabilitation, and cancer wellness. He believes that exercise programs need to focus on goals, function and individual needs while also being adaptive and creative in the moment.